Riding a cab in Delhi can turn out to be a smooth or nightmarish experience depending on how informed you are as a passenger. If you're a first-time visitor to the National Capital Region of India, calling the 24 hour cab services in Delhi is perhaps going to be your safest best. Smartphone users can even download the mobile apps specified by the service providers to book a cab easily. The automated method will make sure that you avoid long hold times on the telephone. The first thing you ought to know, even before you speak to a service provider or a cab driver, is where you are. Providing the exact address or a good landmark will help the drivers find you quickly. Also make sure you know where you are headed (if you're new to Delhi, check out the shortest or the most convenient route on Google Maps). You don't want to be misled and be taken to places you don't recognize. 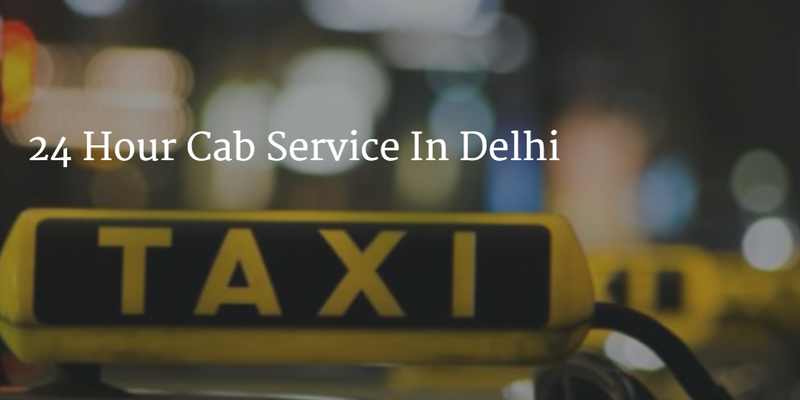 While booking a quick taxi service in Delhi, it is always a good practice to ask the fare beforehand. Fares are generally fixed but you might be required to pay the toll taxes if applicable. Prices are based on the distance traveled (in kms) from the point of origin to the destination. You should also confirm the tipping range. If you're planning to avail a night cab service in Delhi, do not take a taxi alone (more so if you're drunk or a lady passenger). Most night cab services in Delhi have a tamper- proof meter, a radio, a walky-talky, a badge, an air conditioner, and a GPS device. You should always ask for emergency security features installed in the cab for complete passenger safety. When faced with an emergency situation while riding a cab in Delhi, keep your phone handy and know whom to call (put the number on speed dial if required). Try not to sit in the passenger seat in the front; always sit in the backseat of the cab and lock the doors. Do not get into any sort of argument or indulge in small talk with the driver, no matter how trustworthy the driver may seem. Ask for a printed receipt for each transaction while getting out of the taxi. Finally, to ensure a safe and hassle free ride in a 24 hour cab service in Delhi, act responsibly.